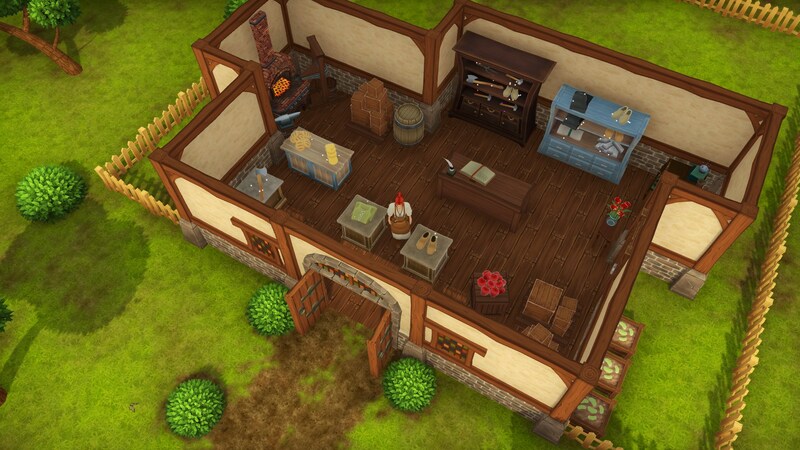 Winkeltje The Little Shop is an exciting shop simulator in a medieval setting. 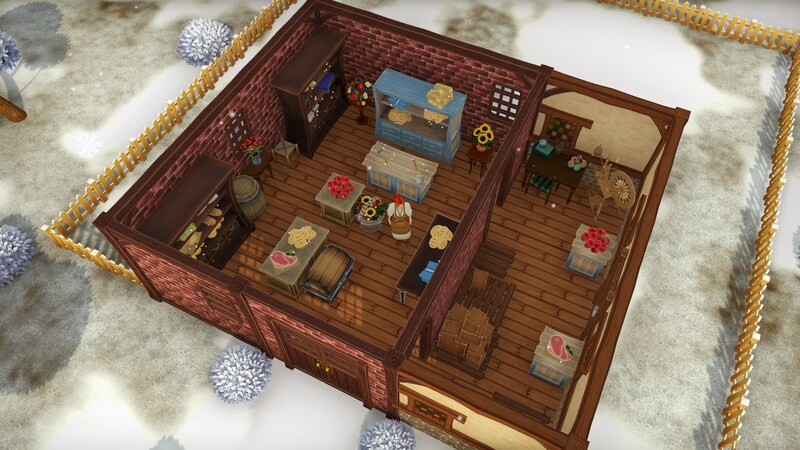 Here you can become the owner of your own shop and turn it into a luxurious trading hall, which practically did not exist in those days. But you have to start from the bottom. First, at your disposal you will get only a small room with dusty cabinets and bedside tables. 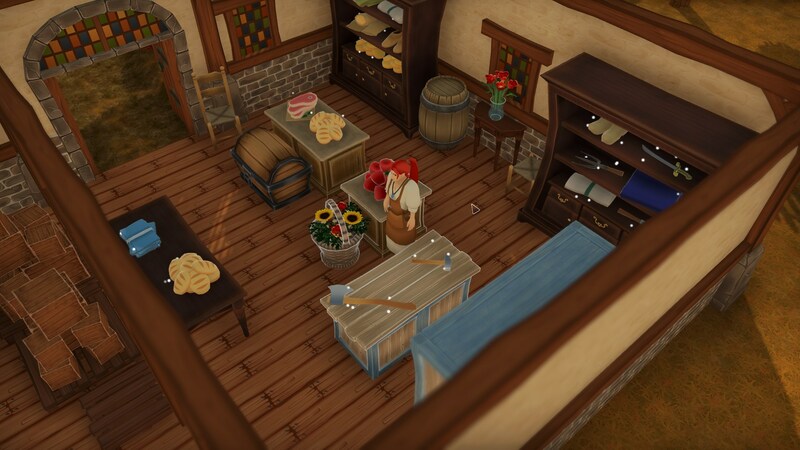 From this moment your adventures begin — you will trade, search for goods to order, sell rare items, develop your shop and do everything possible so that everyone around will be happy with your service. The most interesting begins after some time. Having earned money, for example, you can try to rebuild your shop or even demolish the old one and build a new one. At your disposal will be everything you need: a wide range of flooring, walls, foundation, the most different furniture, decorations, flowers and decorations, sales counters and much more. All that remains for you is to think about the layout of the premises and build a shop the way you imagine it. As for trade, there are no less opportunities here. For example, take even the extraction of goods — you can engage in sales of what you yourself will get, or you can buy goods from passing merchants and sell them in your shop. In addition, you can grow goods, such as vegetables and fruits, and sell them to customers. Well, among other things, over time you will have powerful buyers, thirsting for rare wonders and not only. In general, you will not be bored. This game has been updated 7-04-2019, 12:06 to the latest version v3229 (upd.07.04.2019). Fixed multiple issues in the tutorial if the player would save and load during it. Shadow rendering had a strange shutter effect in the opening animation. Seasons would not correctly turn on and off when they should. Note that this change will not take effect until the end of your current in-game season. Opening the settings window could update the appeal level using the shop level. Planter label would not update correctly when moving to the withered or final state. When you went back to the main menu from the game, it would not correctly load the save files in the "Load Game" menu. "Continue" is now correctly unusable when first booting up the game and no save-file is available. Fixed an issue where 'Crafting Options' was not changed to a different language after selecting it. Footstep sounds now play while running.